Life can throw a lot of punches, and it’s inevitable you’ll feel the stress when you feel things have gone wrong. But it’s important we develop strategies to overcome this and build a sense of self-confidence. It’s a skill that has to be learned and it’s not easy – but it’s entirely possible to change the way you think and start feeling better in yourself. Feeling like you lack self-confidence is a completely natural phenomenon. Sometimes there’s a clear cause (bullying during childhood, for example) but often there’s no certain indicator of why we feel a certain way. We just feel it. Part of the reason stress to our confidence occurs is because we have been told that we’re not good enough. 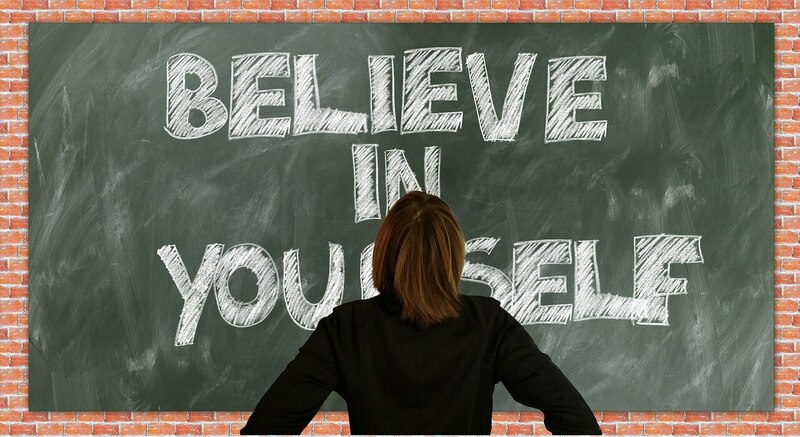 Maybe we’re told we’re not intelligent enough, not emotionally capable, not friendly enough – whatever it is, we start believing it and it impacts negatively on our stores of confidence in our own abilities. However, just because it’s natural, doesn’t mean it has to be this way. The good thing is, as humans, we’re able to rewire our ways of thinking to instil more self-confidence in our day to day. It all starts with the way we approach our problems, and by the self-talk we give ourselves, especially in times of crisis. A blow to our self-esteem can occur when an external threat (to use the previous example, bullying) prompt us to think in a certain way (for example, ‘Maybe I am a terrible person.”) It’s possible for us to respond either positively or negatively to the treat – but all too often, it’s negative. We start believing what the other person is saying and internalise it so it becomes reality. And that’s when our self-esteem is affected. But by worrying about what others think and say, we leave our thoughts and emotions open to being manipulated by someone else. We start believing everything – good and bad – that someone tells us, and let it affect our self-esteem, sometimes beyond repair. By shifting your focus internally, though, you can develop strategies for responding to negative stimuli and not letting them wear you down. By not letting what others think affect you, you can develop an inner strength that will see you through problems in the future. You are not responsible for the other person’s actions but you are responsible for how you respond to them. The first step? When you hear something that has the potential to bring down your self-esteem, turn your attention inward to your own emotions. Then, tell yourself that what they said was likely not about you at all. All of this may seem like theory, but there are practical things you can do to rewire your brain and strengthen your response to external stimuli.